On Sunday, 25 October 2015, telephones started ringing at 7 am at the offices of Transparency International Bulgaria (TI Bulgaria). A team of eight colleagues was taking calls from concerned citizens. Another two colleagues with legal expertise started preparing complaints about voting irregularities. Welcome to election day, Bulgarian style. 6.8 million Bulgarians have the opportunity to go to the polls and 200 volunteers from TI Bulgaria across the country were keeping track of them and flagging violations to the centre in Sofia. This was in addition to all the ordinary citizens who were calling in when they saw something fishy. These were local elections but there was also a referendum on whether voting in the future could be done on-line. This idea was originally introduced in 2013 as part of a larger electoral reform to stop the wide-spread practice of vote manipulation. 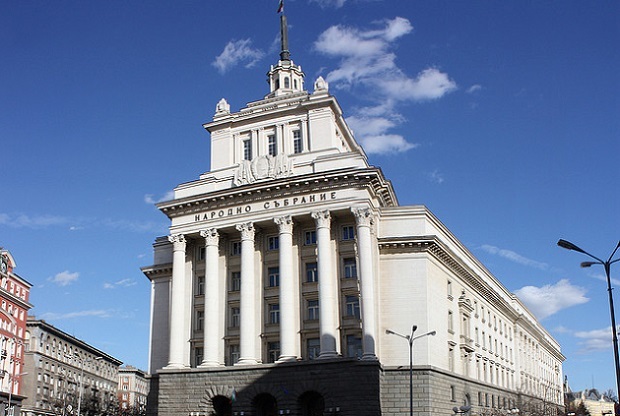 After several push-backs, the National Assembly, Bulgaria’s parliament, cut the voting reform suggestions down to the one question on e-voting, and accepted the proposal to have a referendum on this at the same time as the local elections. From the evidence TI Bulgaria collected, it is likely that direct interference at polling stations sealed the fate of the referendum, which many in the National Assembly were against anyway. Buying votes is a long-standing well-known practice in Bulgaria. There have been some arrests and even some convictions for this crime in the past. But the practice continues to be used, especially in poorer communities. One such case in the Bobov Dol mines was publicised by the Bulgarian Ombudsman in May 2014 after EU elections. A year later, no one has been convicted. Unfortunately, TI Bulgaria’s election monitoring results show a growing number of “controlled” votes. Companies, including state-owned enterprises, order their employees and workers to vote in a certain way if they want to keep their jobs. In the latest elections, TI Bulgaria identified an increase in these ‘controlled’ votes from the districts of Vidin and Plovdiv, and to a lesser extent in the Sofia region, Targovishte, Silistra, Vratsa and Kyustendil. Could e-voting stop this special interest pressure and strengthen democracy’s most basic citizen right? While 43.2 per cent of all possible voters cast their vote on local governments, only 31.5 per cent of them did so for the referendum, which was not enough to make it valid. But why would voters who took time to line up and participate in the election, choose not to vote on the question of e-voting? Voters were simply not handed the referendum ballot. Only those explicitly requesting it, were given the chance to do so! Reacting immediately to this obvious undermining of the referendum, TI Bulgaria’s legal experts prepared an official complaint and started to discuss with the Central Election Commission. It was only after 2 o’clock in the afternoon that the commission issued the general instruction to polling stations to hand out the referendum ballot together with the ballot for local elections. It is hard to say, to what extent this instruction was followed by the 12,314 polling stations across Bulgaria. What is sure is that the two parties that currently form the ruling coalition in Bulgaria’s Parliament were not in favour of the referendum question. The Socialist party even argued that “the introduction of electronic voting creates premises to manipulate and control the vote”. Keeping the status quo benefits the old elite, which is holding on to power in Bulgaria – even in spite of large-scale popular protests in 2013 and 2014 against the current coalition of the Socialist party and MRF. At the end of the day, more than 20 per cent of citizens voted in the referendum, and around 70 per cent of them were in favour. This means that the question of whether e-voting should be introduced to reform elections in Bulgaria will at least be tabled to the Parliament. If it was a genuine mistake that the referendum ballots were not handed out, the parliamentary majority still has the chance to correct this by supporting the reform. Check Transparency International Bulgaria’s page Sam Izbiram! for details on voting manipulation in the 25 October 2015 elections..